RSFirewall! 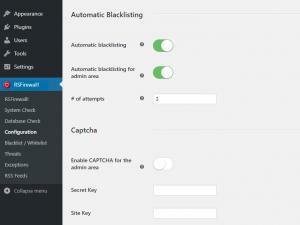 's automatic blacklisting feature was designed to blacklist the IP's of repeat offenders. This is available for both the website's frontend and its administration area. You can set up a number of attempts after which the IP will be automatically blacklisted in the # of attempts field. 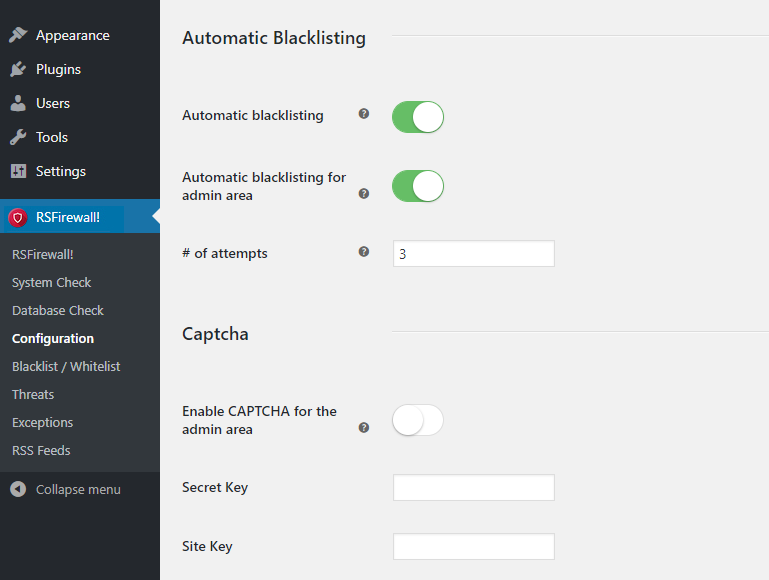 Note that there are 2 protection methods available for the backend log in area: the aforementioned automatic blacklisting feature and the CAPTCHA antispam. If repeat offenders are not automatically blacklisted in accordance with the settings you made in the backend (in the # of attempts field), please make sure that you have disabled the CAPTCHA antispam. To disable the CAPTCHA for the backend log in area, please head to RSFirewall! > Configuration > Active Scanner > scroll down to the CAPTCHA area and disable the Enable CAPTCHA for the admin area.